The SCRAM! 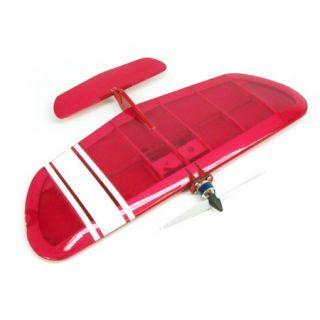 from Stevens AeroModel electrifies the 1/2A control line combat class with a quick building sturdy airframe that's highly maneuverable yet smooth and predictable. Ideal electric entry into combat control line or as wild stunter! •	Fun Control Line Combat Stunter. •	Quiet clean electric motor fly in neighborhood parks, large backyards, and even indoors! •	Laser Engineered precision laser cut components for true interlocking construction. Light yet rugged airframe survives the rigors of training. •	Precision laser cut balsa and hardwood components. •	Control horn, linkage, and bellcrank. This page was printed from www.densmodelsupplies.co.uk on Monday 22nd April 2019 at 11:59 pm.